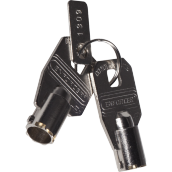 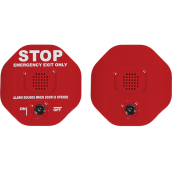 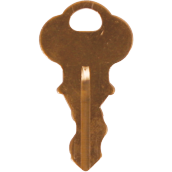 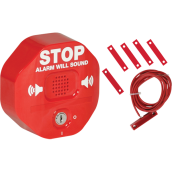 The highly effective Exit Stopper can serve as an inexpensive door alarm and help stop theft by alerting you to any unauthorized exits or entries through emergency exit doors. 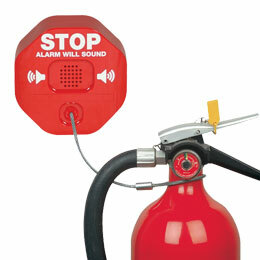 Highly visible “stop sign” design acts as a deterrent. 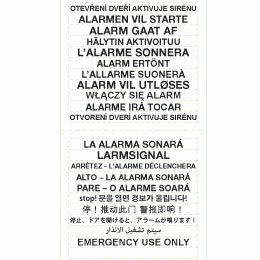 Included label allows warning in two languages. 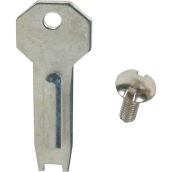 Recommended operational temperature range is 32° to 113°F. 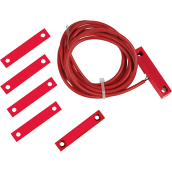 Easy to install—much less expensive than heavy horizontal bar type units—and practical for all emergency doors. 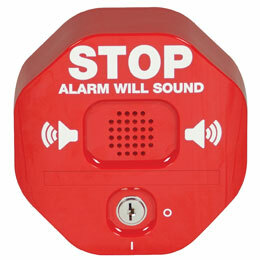 In annunciator mode, it announces door entry/exit with 2 beeps repeated 5 times. 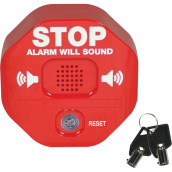 May be programmed for 30 second entry delay or immediate alarm. 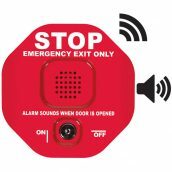 Arming delay allows unit to arm following authorized exits. 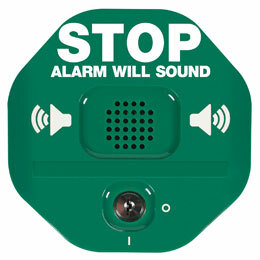 Low battery beep and flash; extended battery life mode. 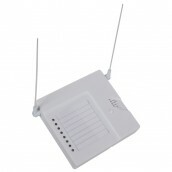 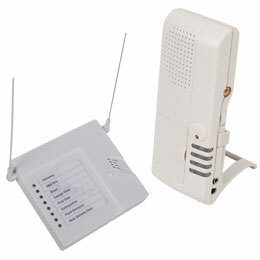 STI-6400WIR supervised wireless (requires 8-Channel Receiver or Voice Receiver). 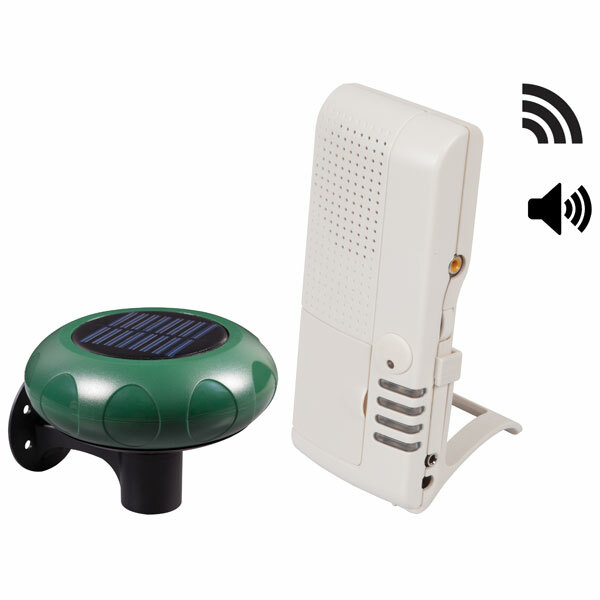 STI-V6400WIR4 supervised wireless with 4-Channel Voice Receiver. 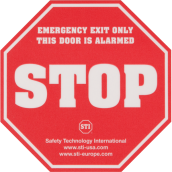 STI-6402 protection for double doors. 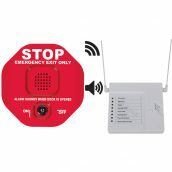 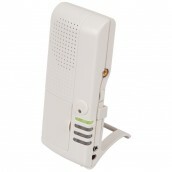 STI-6403 remote horn can be located 300 feet from the door. 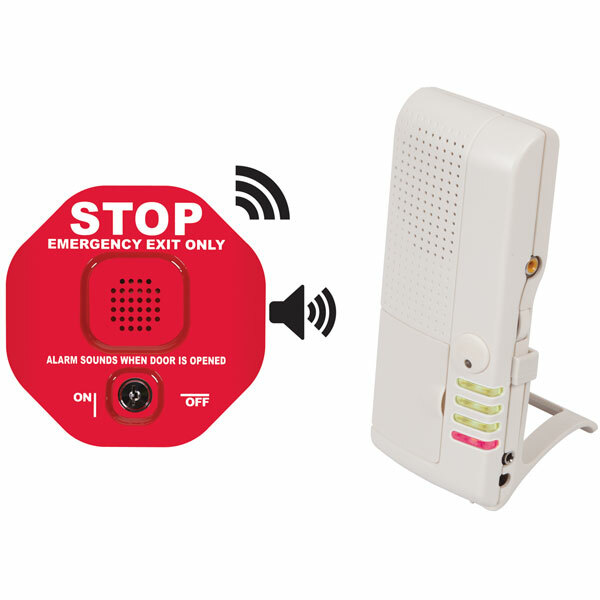 STI-6404 protection for double doors, has remote horncapabilities. 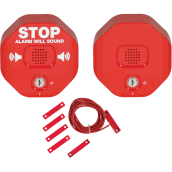 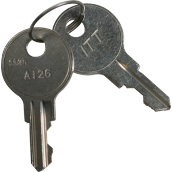 Alarm alerts to any unauthorized exits/entries through emergency exit doors and rear doors. 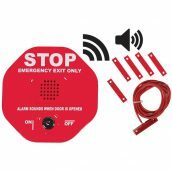 The Exit Stopper alarms have been installed on our emergency exit doors of our medium sized pharmaceutical production plant in the UAE in Jabel Ali some 20 odd miles outside Dubai. Thank you for your efforts. Until today no one has dared to open the door again knowing that a â€œbig noiseâ€ is expected!! 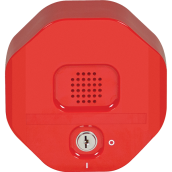 Self-contained alarm helps stop theft, misuse or vandalism of fire extinguishers. 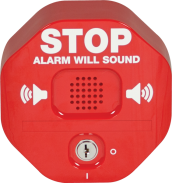 Self-contained wireless alarm helps stop theft, misuse or vandalism of fire extinguishers. 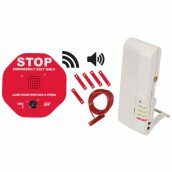 Designed to work in conjunction with a control panel and all unique STI transmitters.